​Former Liverpool striker Dean Saunders has heavily criticised James Milner for his defensive display during the Reds' 4-3 victory against Crystal Palace on Saturday. In the absence of the injured Trent Alexander-Arnold and Joe Gomez, the 33-year-old was selected to play at full-back by manager Jurgen Klopp and struggled throughout in a match-up with Eagles winger Wilfried Zaha. 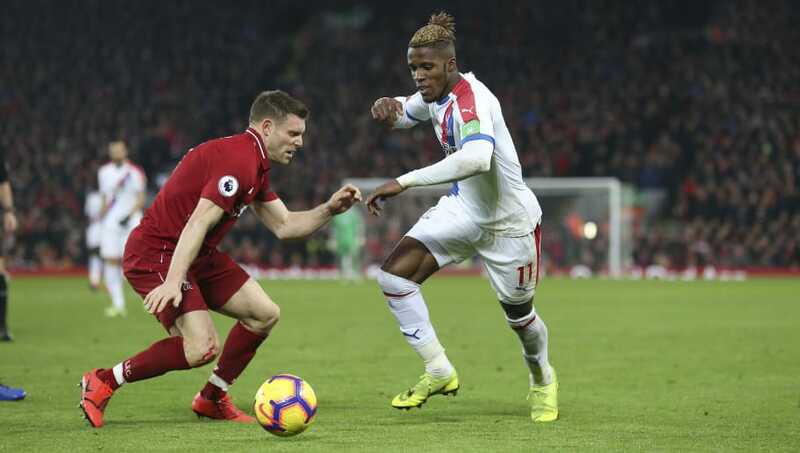 With Liverpool leading 3-2 in the closing stages at Anfield, Milner imploded and was yellow carded twice in seven minutes, leaving his side having to play the last five minutes with ten men after a foul on Zaha. A breakaway goal from Sadio Mane in the 93rd minute ensured that the former England international's sending off didn't have a major impact on the game as the Reds moved seven points clear at the top of the Premier League, despite a late consolation from Palace midfielder Max Meyer. Speaking to BT Sport Score throughout the match as quoted by the Daily Express, Saunders slammed Milner for putting the result in doubt for Liverpool, declaring: "I don't get players who do that. "You're on a yellow card so stay on your feet. You can't risk it. "It's a stupid challenge. He's not meant it but surely you know you're on a yellow card and you can't go diving in on the halfway line. Stand up. "It's a stupid challenge. If Liverpool lose a goal now he's cost them the game. What's he diving in there for?" Milner's red card was his second since joining the Reds from Manchester City, with his other sending off also occurring in a match against Palace in 2016. Former Spurs manager Harry Redknapp, who was also appearing as a pundit for BT Sport, questioned the ex-Newcastle and Leeds midfielder's defensive abilities throughout the match. As reported by the Express, Redknapp said: "Zaha has walked past Milner, he's absolutely walked past him. "It's a big problem at right back." With Alexander-Arnold a doubt for Liverpool's next Premier League game against Leicester City on the 30th of January, it is unclear who will play at right back for Klopp's side as Nathaniel Clyne is on loan at AFC Bournemouth whilst Milner is suspended. 17-year-old Ki-Jana Hoever may be considered as an option for the position after an impressive performance in the FA Cup against Wolves and has had previous experience of playing at full-back for the Netherlands under-17's team.